Not good news for all of the people that pre-ordered the new Apple Watch series 3 with LTE if The Verge review of the Apple Watch is consistent with devices rolling out from Apple. The Verge, like many other major news outlets get’s review units and are sworn to secrecy in advance of the Apple event so they can begin testing or reviewing the devices prior to launch or media release. This allows them to have their review completed on or just after media launch day to help move more product. 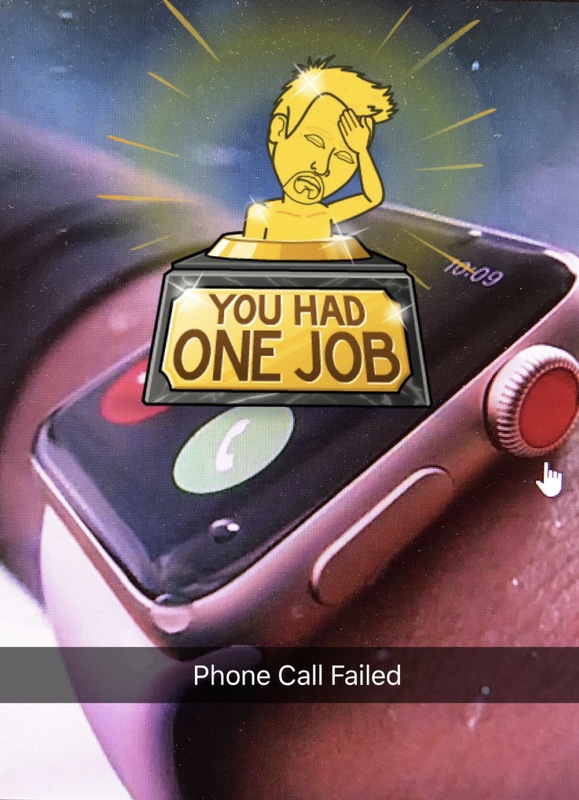 Unfortunately, the Verge’s not so good review of the Apple Watch Series 3 with LTE did not come out timely enough to stop excited Apple Watch customers or at least get them to pause and consider their purchase more carefully. But let’s be honest, would it have even made a dent in the pre launch sales? Probably not. I’m not going to belch out all of The Verge’s results but constantly mentioned throughout the review of the Apple Watch Series 3 with LTE the author is clearly not p[leased with the performance of the LTE capability or SIRI’s integration into the Apple Watch. The Verge’s original test unit was so bad with power drain that they in fact had to send it back and get another test unit to complete the review. Besides major LTE connection issues another key issue that apparently is known to Apple is that the Apple Watch joins in range WifI signals that are not know to it instead of rolling straight on to LTE. This is when the paired Apple Phone was switched to Airplane mode and not tethered to the Apple Watch. In a statement to the Verge Apple says it is aware of the problem and is taking steps to correct the issue in an upcoming software upgrade release. Another issue that many buyers of the Apple Watch Series 3 might not have caught during the press release is that Apple Music is held up from streaming to the Apple Watch for at least month of after the initial shipment start rolling out on September 22nd. Perhaps this is a related technical problem to the LTE issues that forced Apple to delay the launch of Apple Music streaming? And then there is battery power issues with the Apple Watch Series 3. The Verge found that after a long workout that the Apple Watch would consistently drain down past 50%. In fact Apple’s inflated battery usage for the Series 3 Watch was based on only 30 minute workouts. This will not work out (no pun intended LOL) for long distance runners or athletes who have longer work outs than 30 minutes. All this being said it is very worth noting that reviews are usually skewed by the author’s own preferences and opinions on where he or she thinks the device should be at and not necessarily what is reasonable for a manufacturer to have released. another note is that the author had a pre release version and in my experience of reviewing technology they are sometimes not as well built as final manufactured devices. Lastly Apple is very proactive in rolling out releases on known issues and fixing problems with their devices. If there is an issue like the Wifi connection issues mentioned above I would think Apple will have that fix rolled out in short order. Let us know if the comments if you are pre ordering the Apple Watch Series 3 with LTE and what your thoughts are.